The Best Picture award is probably the most coveted prize in the Oscars. Each year one film is chosen to represent the pinnacle of film-making, but along the way there have been a number of great films that, although nominated, were never awarded the prestigious title of Best Picture (or its equivalent). Hindsight is a wonderful thing, so let’s have a look at some of the greatest Best Picture nominees that lost out on the day. The Wizard of Oz was nominated for an Oscar in 1939, but missed out to Gone With the Wind. Though it is undeniable that Gone With the Wind is an excellent film, The film was revolutionary. 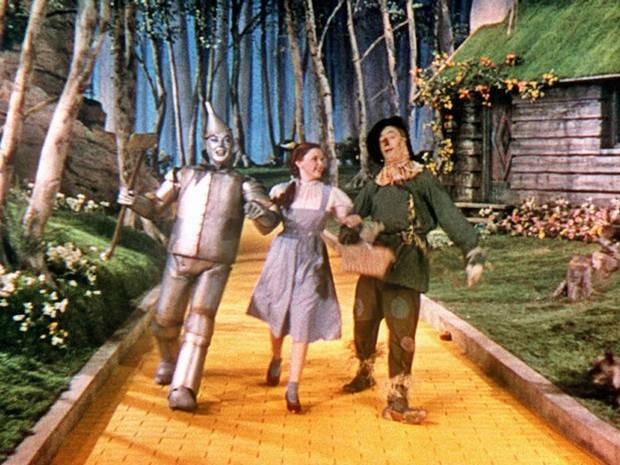 The story may have taken the traditional hero’s journey narrative in which the main character goes from A to B, triumphs over adversity and learns something about themselves along the way, but in terms of the film’s sheer technical wizardry, The Wizard of Oz deserves high praise indeed. 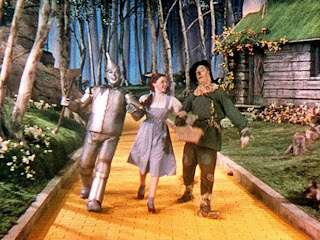 The contrast between Kansas (filmed in black and white) and the enchanted land of Oz (filmed in dazzling Technicolor), must have been absolutely jaw-dropping in its day. Take a movie like Charlie Chaplin’s 1940 film, The Great Dictator, which easily ranks as one of Chaplin’s most important and daring works: in the final scene, Chaplin breaks the fourth wall and directly addresses the audience. In an impassioned speech, he decries the evils of fascism and the terror of Hitler’s Reich. He urges the audience: “Don't give yourselves to these unnatural men, machine men, with machine minds and machine hearts. You are not machines!You are not cattle! You are men! You have the love of humanity in your hearts. You don't hate, only the unloved hate. The unloved and the unnatural. Soldiers: don't fight for slavery, fight for liberty!” Chaplin realised the power of film to communicate with pressing urgency the political ills of the day. Of course, the Academy didn’t see it that way, and awarded the prize to Alfred Hitchcock for the excellent Rebecca instead. In 1964, Stanley Kubrick’s dark satire Dr. Strangelove or: How I Learned to Stop Worrying and Love the Bomb lost out to the jolly Pygmalion-inspired musical My Fair Lady. Perhaps it was because Kubrick’s vision was so cutting, and his speculations so close to the lived reality of the previous decade, that the Academy saw fit to overlook it for the prize – perhaps in the fear that they may be accused of communism by a second-wave McCarthyist. Director Martin Scorsese has seen his fair share of Best Picture nominations which were trumped by seemingly inferior films: Raging Bull, Goodfellas and Casino seem unfairly overlooked. Take Raging Bull, not only is it of the best films of 1980, but it easily ranks as one of the greatest of all time: the story-telling , the acting, the directing – the film is moving, immersive and absolutely stunning. There seems to be a trend for the Academy to choose a film which is overblown and sentimental over one that it subtle and thought-provoking. Take the noir L.A. Confidential, a film full of suspense, mystery and intrigue that saw Kim Basinger give the performance of her career and turned a generation of readers onto James Ellroy. The same was also true of 2003’s Lost in Translation, an incredibly sad and understated film that lost out to the huge budget of The Lord of the Rings: The Return of the King. What is perhaps most depressing about L.A. Confidential losing out, is that fact that the Oscar went to James Cameron's Titanic, a soppy love story set on a sinking boat. There are some cases of course where the decision is not so clear-cut, and deserving movies which probably would have snatched the prize any other year were pitted against harsh competition. Quentin Tarantino’s postmodern masterpiece Pulp Fiction, with its iconic characters and cyclical narrative went against the feel-good triumph-over-adversity social history epic, Forrest Gump. Perhaps there were just too many utterances of the word “muthafucker”, or maybe the Academy weren’t fans of a Royale with cheese, but Pulp Fiction’s impact and influence is immense. Most recently, we saw a stuttering Colin Firth in the British-feel-good-movie-by-numbers The King’s Speech being named Best Picture over Toy Story 3, a film that ranks comfortably as one of the finest animations ever made. The visuals are stunning, the vocal performances are excellent, the script is moving, the characters are iconic and the soundtrack is wonderful. Just like The Wizard of Oz, when people talk about the most important films in history, the Toy Story series will be up there, though I’m not so sure that The King’s Speech will receive anything more than a footnote.